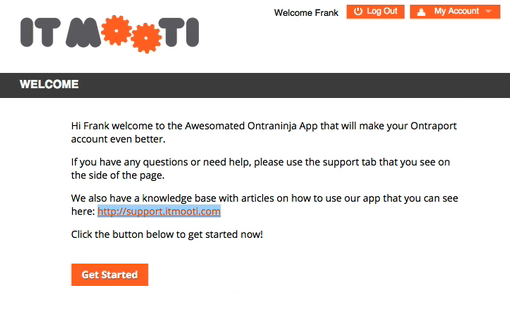 JotForm is a popular online form builder with hundreds of customizable templates, many of which are mobile responsive. 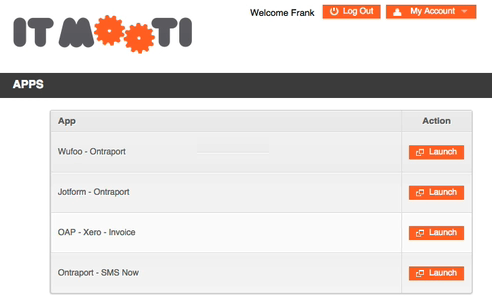 This integration is provided by an independent company, ITMOOTI . 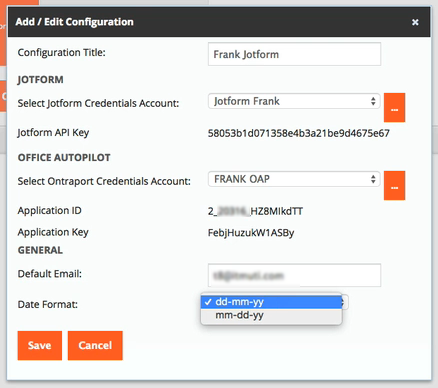 This integration leverages the power of the ONTRAPORT API to allow JotForm forms to add or update Contacts into your ONTRAPORT database as well as add Tags and Sequences. 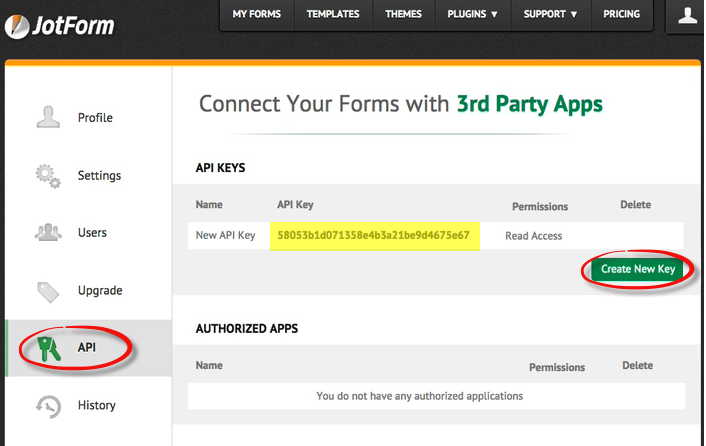 When your API application is approved, return here and generate the key as shown in step 4 below. We need to ask these brief questions to help protect both you and each of our other existing customers from potential exploits that could hurt their marketing efforts. Approval takes from one to two business days. 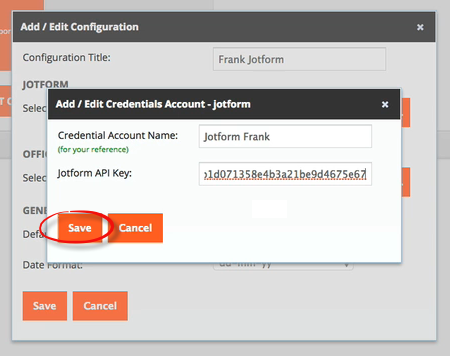 Log into JotForm and create a form. Q. Where can I get support for this integration? A. ITMOOTI provides all support for the integration. 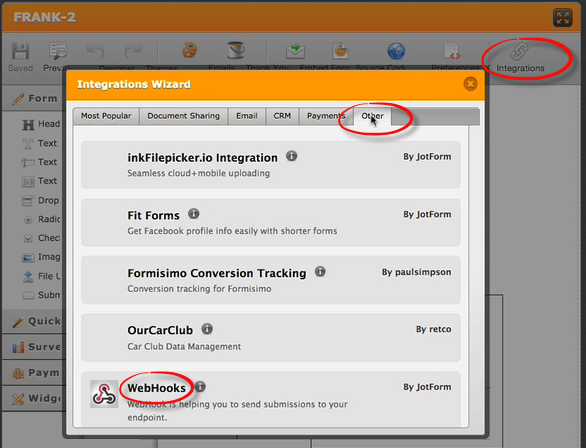 Q. JotForms allows images to be added to forms. Can I import them into the ONTRAPORT Contact record? A. No, reliable data entry will happen only for the field types ONTRAPORT supports. Images imported into text fields will appear as a random string of characters rather than an image. Q. Where can I find out more about JotForm? A. 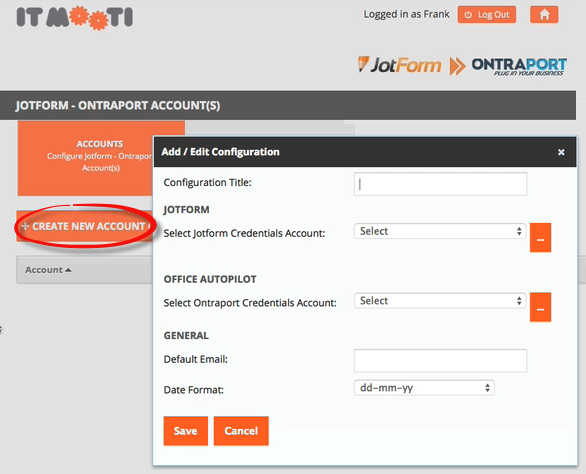 Check the JotForm User Guide for more information. Q. Can JotForm or ITMOOTI see my personal information in ONTRAPORT? A. No, the API functions expose only the data inside your account such as Contacts, and not your personal information. Q. 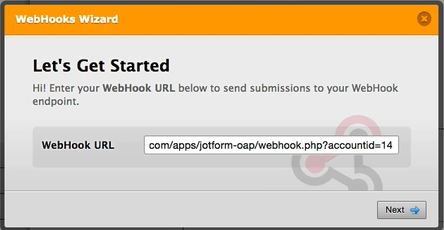 Can I use the advanced features of JotForm, such as file uploads, e-signature blocks, etc.? A. Yes! ITMOOTI has several examples of using the file upload function to store a customer file in Dropbox and the URL to it in a text field in ONTRAPORT, storing PDF copies of the form submission online, etc.